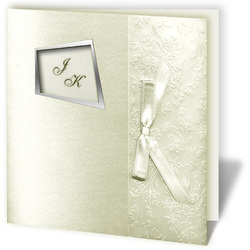 The cover is made out of pearly paper. 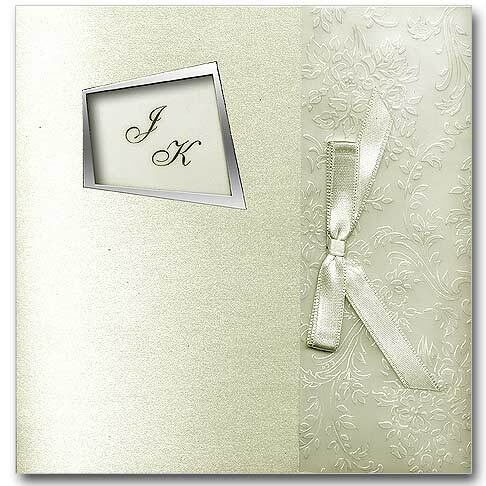 On the left hand there is a trapezoid cutout, in which we will print the initials of the bride and groom. 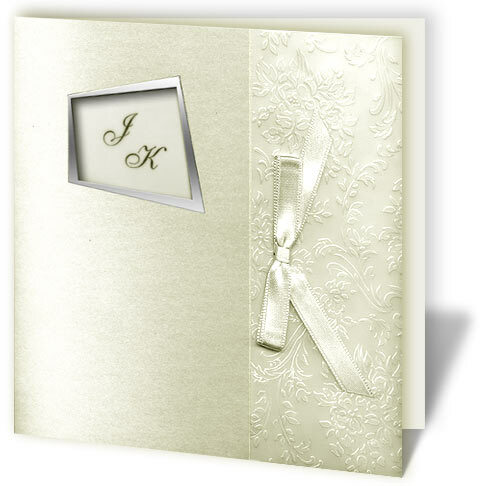 The inside is made out of tracing paper, with embossed pattern folded out onto the cover. 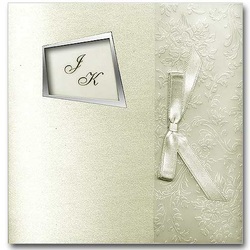 The invitation is tied with a satin bow.